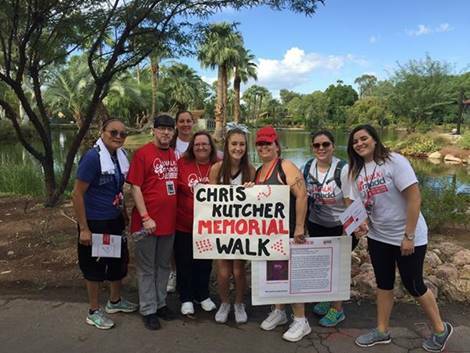 This morning I walked for Chris Kutcher. He couldn’t walk. He was killed by a drunk driver on June 7, 2014. Mothers Against Drunk Drivers (MADD) organized a walk and Renee Kutcher Loncar formed a group to walk together on behalf of her life’s partner, Chris. I was struck by the tragedy of needless death, and yet surrounded by the joyousness of the people whose love and devotion was so great that they could see past their own tears in order to try and prevent drunk driving deaths for others. Thank you Renee and thank God for all of those who are out there turning tears into wisdom.